Commercial auto insurance can protect your Ontario Contractor Company in a variety of different ways. To start off, it is completely necessary if you want to ensure you and your employees are protected, while they are on the road. In addition to this, it can cover any financial losses that are the result of an auto accident or an employee’s theft. Commercial auto insurance is not covered under the coverages of a contractors liability insurance policy as it is a separate insurance policy that can also come in handy when property is damaged or medical expenses are incurred. For instance, if one of your employees hits a pedestrian while driving a company truck or van and the pedestrian requires medical treatment, this insurance can pay for that treatment. This could potentially save you thousands that you might have had to otherwise pay out of pocket. Who Needs Commercial Automobile Insurance Coverage? If your company owns, leases, or rents vehicles, you are going to need to acquire commercial vehicle insurance. If you have employees that drive their own vehicles or conduct company business out of vehicles, you are going to need commercial insurance coverage. If your employees operate company vehicles that are leased, rented, or owned, you will need to purchase some form of commercial auto insurance. If your company can benefit from having this insurance, request a quote today! While some contractors believe all commercial vehicle insurance coverage is similar, this is a huge misconception. Before choosing a liability insurance policy, you should conduct extensive research on the available options. Regardless, if you are an independent contractor with only two commercial vehicles or a contractor with a large fleet of tractor-trailers, commercial auto insurance is a necessity. Liability auto insurance is very limited, as it only covers the damages caused by the motor vehicle accident or the medical costs of third-party drivers injured in the accident. While this insurance is better than no coverage, it is genuinely not enough for contractors. Insurance coverage is a necessity and requirement for all Canadian contractors who operate commercial vehicles and carry their materials around for completing specialized jobs such as demanding a licensed contractor for paving parking lots and driveways. Commercial auto insurance for contractors is very unique in that it protects the contractor from incurring any financial losses, while their drivers transport materials and move vehicles from place to place. It will not only provide funds for a commercial vehicle lost in a collision, but it also covers damages to third-party vehicles. This type of coverage does not provide funds for the damaged materials being transported. When you are choosing between different policies, you will discover that there are three different types of physical damage coverage policies available. These three different types are collision, comprehensive, and specified perils. Collision Coverage – When you opt for collision coverage this means that you are going to be covered from any losses that result in a collision of a covered vehicle. For instance, if a covered vehicle hits an oncoming car or a rock on the side of the road, you are going to be covered. Comprehensive Coverage – As a business owner, comprehensive coverage is almost a must because it is extremely comprehensive. It covers any losses that are experienced from collision, wear and tear, mechanical breakdown, and acts or war. This is the costliest coverage, but it’ll prove to be well worth it. Specified Perils – Specified perils offers some of the same coverage and protection as the comprehensive package. However, it comes with a lower premium and it is sometimes referred to as fire, theft, and combined additional coverage. This is because it provides the additional coverage against thefts and break-ins. Regardless of how many vehicles and the types of vehicles that your company owns, it is absolutely necessary to carry some form of insurance. Specified perils is a great option for most Canadian contractors. It is important to note that each vehicle on your policy can be registered with a different type of coverage. For instance, vehicles with different characteristics and customizations can be registered under different policies to provide higher levels of protection. You can acquire full coverage for all your service vehicles but leave your commuter vehicles with the most basic policies. 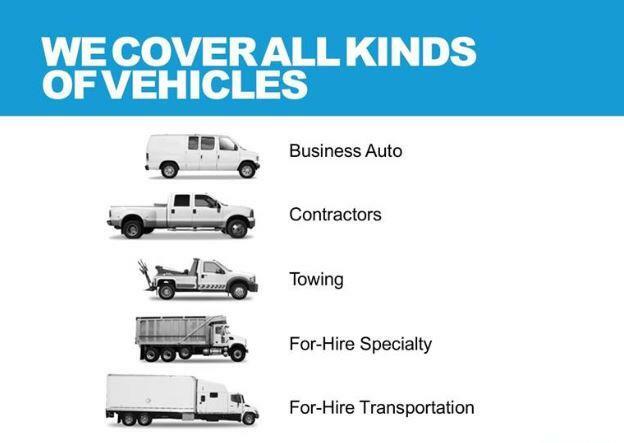 So, what types of vehicles need the most coverage and what type of coverage do they need? If you are a business owner with a contractors liability insurance policy in the Ontario area that relies on company vehicles, you probably already know that you need to purchase a variety of insurance policies. Some of these policies might offer the same coverage that you would acquire for your own personal vehicles. Unfortunately, you cannot control what happens on the road, as there are a lot of road accidents in Ontario especially when employees are out on the road finish a job that requires a specialized worker who is fully equipped with all tools and machinery such as a drainage or irrigation contractor. Being on the road with all materials and tools require to empty out a drain is not easy. While on the way to or from a job, often unexpected circumstances occur that arise as a result of pedestrians and other commuters causing accident or damages to third parties. Even though you or your employees might not consider themselves to be at fault, the law might state otherwise. If you own a construction company and operate a fleet of dump trucks, they will need to be insured. As mentioned above, construction insurance does not cover dump trucks, but extended coverage is available. Regardless of how many dump trucks you have, an accident can occur at the drop of a hat. These accidents will lead to potential bodily injury and damage to third-party drivers’ vehicles. If you do not have coverage, you will be forced to pay out-of-pocket for these damages. Canadian contractors who operate a fleet of tractor-trailers must have commercial vehicle insurance coverage. As a business owner, you are liable for damage related to motor vehicle accidents caused by the drivers of your tractor-trailers. Since semi-trucks are extremely large commercial vehicles, they are likely to leave more extensive damage than SUVs, trucks and sedans. In fact, this type of damage could end up costing thousands of dollars. If the third-party driver is left deceased, the cost could scale up to $1 million or higher. Commercial vehicle insurance for your fleet of semi-trucks will cover most or all of the damage. This coverage will not only cover third-party vehicles, but also cover your tractor-trailers and in some cases bodily damage. It can be the difference between bankruptcy and keeping your company afloat.